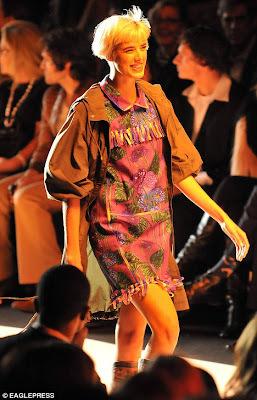 A G Y N E S S-D E Y N O N L I N E: Where has Agyness been in this NY Fashion Week? 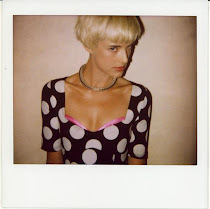 Where has Agyness been in this NY Fashion Week? 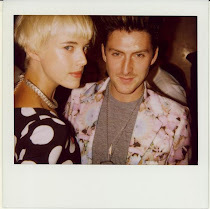 Agyness Deyn likes to bend the rules when it comes to fashion - and smoking. 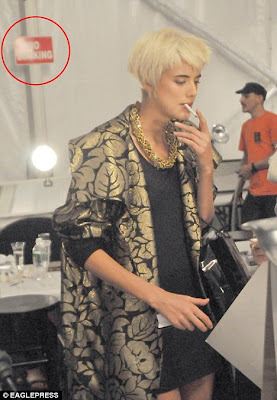 The model was caught lighting up a cigarette as she relaxed backstage at Anna Sui's New York Fashion Week catwalk show yesterday despite the presence of a 'No Smoking' sign. She brazenly flouted the ban inside the Bryant Park tent, with organisers apparently turning a blind eye. Earlier, Agyness walked the catwalk at the designer's brightly coloured show, which featured matador details and Aztec prints. The blonde has been in high demand this week, modelling for designers Narciso Rodriguez and Carolina Herrera in recent days. She's also managed to find time to be a spectator - she attended Costello Tagliapietra's catwalk show earlier this week accompanied by her brother Greg. A host of celebrities have turned out for Fashion Week this year, including Victoria Beckham, fellow Spice Girl Mel B, actress Jessica Alba and Gossip Girl star Blake Lively.